Bu araştırmanın amacı Türkiye’nin İstanbul şehrindeki en prestijli üniversitelerinden birinde Güzel Sanatlar Fakültesi tarafından verilen Özel Amaçlı İngilizce programında bulunan öğrencilerin öğrenme ve hedef ihtiyaçlarını saptamaktır. Araştırmada 59 öğrenci ve 6 okutman yer almıştır. Niceliksel veriler ihtiyaç analizi anketi, niteliksel veriler ise öğrencilerin öğrenme ve hedef ihtiyaçları algısıyla ilişkili yarı-yapılandırılmış görüşme yöntemiyle toplanmıştır. Araştırmada elde edilen bulgular Güzel Sanatlar Fakültesi’ndeki Özel Amaçlı İngilizce programının yeniden düzenlenmesine ve uygulanmasına dair kayda değer uygulamalar ortaya koymuştur. The purpose of this study is to identify the learning and target needs of the students engaged in an ESP program offered by the Faculty of Fine Arts at a private university in Turkey. A sample of fifty-nine students and six instructors participated in the mixed methods study. The quantitative data were obtained through a needs analysis questionnaire, and the qualitative data were collected from a semi-structured interview referring to the students’ learning and target needs. The findings of the study revealed significant implications with respect to the design and implementation of the ESP program. Altschuld, J. W., & Witkin, B. R. (1995). Planning and conducting needs assessments: A practical guide. California: Sage Publications. Baştürkmen, H., & Al-Huneidi, A. (1996). Refining Procedures: A needs analysis project at Kuwait University. (ERIC Document Reproduction Service No: ED413762). Berwick, R. 1989), Needs Assessment in Language Programming: from Theory to Practice. In R.K. Johnson (ed. ), The Second Language Curriculum, pp. 48-62. New York: Cambridge University Press. Bogdan, R. C., & Biklen, S. K. (1998). Qualitative research for education: An introduction to theory and methods. Ally & Bacon: Needham Heights, MA. Bosher, S., & Smalkoski, K. (2002). From needs analysis to curriculum development: Designing a course in health-care communication for immigrant students in the USA. English for Specific Purposes, 21, 59-79. Brindley, C. (1989), The role of needs analysis in adult ESL programme design. In R.K. Johnson (ed), The Second Language Curriculum, pp. 63-78. New York: Cambridge University Press. Brown, J. D. (1995). The elements of language curriculum. Boston: Heinle and Heinle. Celce-Murcia, M. (Ed.). (2001). Language teaching approaches: An overview in teaching English as a second or foreign language. Heinle and Heinle. Chia, H. U., Johnson, R., Chia, H. L., & Olive, F. (1999). English for college students in Taiwan: A study of perceptions of English needs in a medical context. English for Specific Purposes, 18(2), 107-119. Creswell, J. (2009). Research design: qulitative, qunatitative and mixed methods appraoches (3rd ed.). Los Angeles, London, New Dehli, Singapore: Sage. Edwards, N. (2000). Language for business: Effective needs assessment, syllabus design and ma- terials preparation in a practical ESP case study. English for Specific Purposes, 19, 291-296. Ekici, N. (2003). A needs assessment study on English language needs of the tour guidance students of faculty of applied sciences at Başkent University: A case study. Unpublished Master’s Thesis. Middle East Technical University, Ankara. Freeman, D. L. (2000). Techniques and Principles in Language Teaching. Oxford University Press. Gliem, J. A. & Gliem, R. R. (2003). Calculating, interpreting, and reporting cronbach’s alpha relia- bility coefficient for likert-type scales. Presented at the Midwest Research to Practice Conferen- ce in Adult, Continuing, and Community Education, The Ohio State University. Jordan, R. R. (1997). English for academic purposes. Cambridge University Press. Kaur, S., & Khan, A. M. (2010). Language needs analysis of art and design students: Considerations for ESP course design. ESP World, 9(2), 1-16. Kim, S. (2006). Academic oral communication needs of East Asian international graduate students in non-science and non-engineering fields. English for Specific Purposes, 25, 479-489. Mertens, D. M. (1998). Research methods in education and psychology: Integrating diversity with quantitative & qualitative approaches. Sage Publications. Mutlu, Ö. (2004). 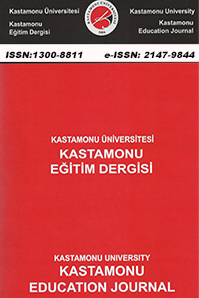 A needs analysis study for the English-Turkish translation course offered to man- agement students of the faculty of economic and administrative sciences at Başkent University: A case study. Unpublished Master’s Thesis. Middle East Technical University, Ankara. Nunan, D. (2004). Syllabus design. New York: Oxford University Press. Özkanal, Ü. (2009). The evaluation of English preparatory program of Eskişehir Osmangazi Uni- versity Foreign Languages Department and a model proposal. Unpublished Dissertation. Ana- dolu University, Eskişehir. Rahman, M. M. (2011). English language teaching in Saudi Arabia: A case study of learners’ needs analy- sis with special reference to Community College, Najran University. Language in India, 367-461. Richards, J., & Rodgers, T. (2001). Approaches and methods in language teaching. Cambridge University Press. Richterich, R., & Chancerel, J.-L. (1978). Identifying the needs of adults learning a foreign langua- ge. Strasbourg: Council of Europe. Roberts, J. (1998). Language teacher education. New York: Arnold. Williams, M. & Burden, R. L. (1997). Psychology for language teachers. Cambridge University Press. ISNAD MEDE, Enisa , KAZAR, Sevda Gül . "ÖZEL AMAÇLI BİR İNGİLİZCE PROGRAMI’NDA ÖĞRENCİLERİN ÖĞRENME VE HEDEF İHTİYAÇLARI ALGILARI". Kastamonu Eğitim Dergisi 23 / 2 (May 2015): 479-498.